Looking high and low for the best local movers? 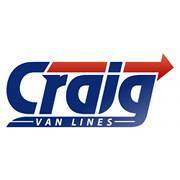 Then look no more, you have found Craig Van Lines! For over 80 years we’ve provided moving, packing and storage services to Gaithersburg area and beyond. Whether you’re moving across town or across Maryland’s state lines or even across the US, Craig Van Lines is here to assist in the planning and execution of your relocation. Our experts will ensure that your move goes as smoothly as can be and that your belongings are safe during transit or while kept in storage. We have convenient hours available six days a week, and we provide free estimates that explain our charges. Our team will arrive at your property on schedule, and we’ll treat your property and possessions with the utmost respect. You can depend on us to be efficient and well-organized, and we’ll get your belongings loaded swiftly. Finding the right team of movers can be difficult, but Craig Van Lines is a name you can trust. Our team members undergo comprehensive background checks, and we pride ourselves on being courteous. If you are planning a big (or small) move out of Gaithersburg, we are here to help! Our movers are also expert in the planning and execution of packing so you can relax knowing that our caring experts are in charge of your personal items. You can trust that all items will be safe while in transit to your new location, whether it is across the county line, the state, or the entire country. Rely on us for packing, moving and storage no matter where you may begin or end up. Let our professionals worry about your items so you don’t have to. Whether you reside in Kentlands, in Montgomery Village, or anywhere in between, you can trust us for our professional moving and packing services. Call us today or email and you’ll see why we are the best in Gaithersburg! Family-owned, quality movers through 4 generations. Dependable, Affordable full-service moving solutions. Call today (703) 273-8852. Thank you for the review and for giving us the opportunity to service your relocation needs. Thank you for taking the time to complete a review of our company. We are happy to hear that you were pleased with the services we provided to you.